Lounge around in style in these P.J. 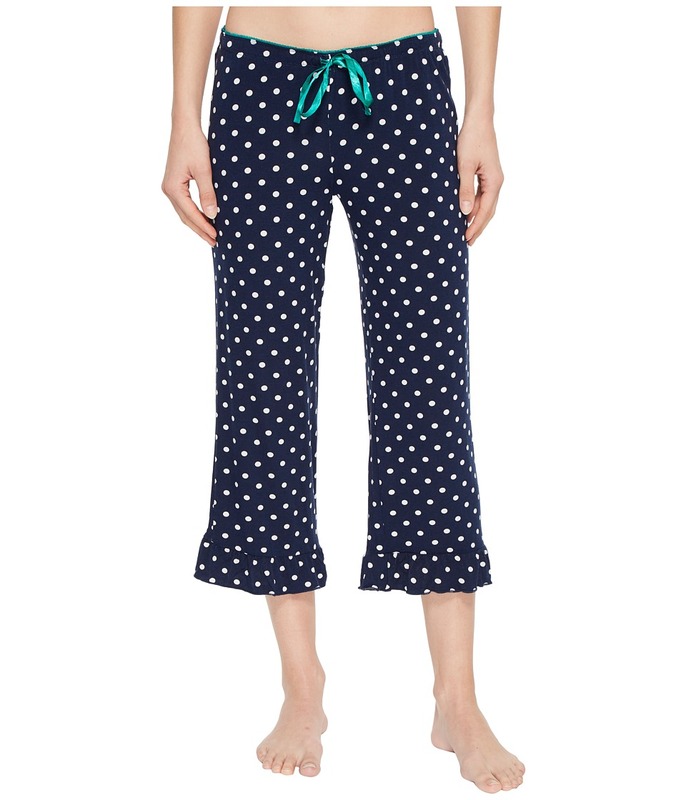 Salvage Soul Mate Polka Dots Pants. Cropped pants in a relaxed fit. Eye-catching print on a jersey fabrication. Elastic waist with a drawstring tie. Ruffed trim at hem. 95 percent modal, 5 percent elastane. Machine wash cold, tumble dry low. Imported. Measurements: Waist Measurement: 28 in Outseam: 32 in Inseam: 22 in Front Rise: 9 in Back Rise: 14 in Leg Opening: 20 in Product measurements were taken using size SM (US 4). Please note that measurements may vary by size. Comfortable and cozy this P.J. Salvage Beach Please Short offers sweet dream worthy style. Fashion fit short fabricated in a soft French terry with a vintage wash. Elasticized waistband with drawcord adjustment. Nailhead trim. Ribbed details at the side seams. 60 percent cotton, 40 percent polyester. Machine wash cold and tumble dry low. Imported. Measurements: Waist Measurement: 30 in Outseam: 10 in Inseam: 2 1 2 in Front Rise: 9 in Back Rise: 12 1 2 in Leg Opening: 24 in Product measurements were taken using size SM (US 4). Please note that measurements may vary by size. Bring a relaxed vibe to your lounge routine with these P.J. Salvage Feelin~ Shorts. Regular fit short with a constellation of embroidered stars throughout. Crafted from a soft rayon fabrication with a smidgen of elastane for stretch. Elastic waist with drawstring adjustment. 95 percent rayon, 5 percent elastane. Machine wash cold and tumble dry low. Imported. Measurements: Waist Measurement: 31 in Outseam: 9 1 2 in Inseam: 3 1 2 in Front Rise: 9 in Back Rise: 13 in Leg Opening: 13 in Product measurements were taken using size SM (US 4). Please note that measurements may vary by size. When your pillow calls, know that rest will be easy in this P.J. Salvage Tropicana Flamingo Short. Fashionable relaxed fit construction. Soft jersey short with pretty flamingo print throughout. Elastic waist with drawstring adjustment. 95 percent rayon, 5 percent elastane. Machine wash cold and tumble dry low. Imported. Measurements: Waist Measurement: 30 1 2 in Outseam: 9 1 2 in Inseam: 2 in Front Rise: 9 in Back Rise: 13 in Leg Opening: 26 in Product measurements were taken using size SM (US 4). Please note that measurements may vary by size. Life is just peachy when you adorn P.J. Salvage Pajama Shorts. Relaxed fit boasts an easy wear perfect for lounge or sleep. Crafted from a supersoft peached knit fabrication with an allover vibrant stripe. Solid contrast elastic waist with drawstring tie. Notched side seams. 47 percent polyester, 48 percent rayon, 5 percent elastane. Machine wash cold and tumble dry low. Imported. Measurements: Waist Measurement: 29 in Outseam: 11 in Inseam: 3 in Front Rise: 10 in Back Rise: 14 in Leg Opening: 13 in Product measurements were taken using size SM (US 4). Please note that measurements may vary by size. Bring a relaxed vibe to your lounge routine with these P.J. Salvage Feelin~ Joggers. Regular fit construction with a tapered leg. A constellation of stars twinkle across the ombr&amp#233 blue-sky background on these softly fabricated jogger pants. Elastic waist with drawstring adjustment. 95 percent rayon, 5 percent elastane. Machine wash cold and tumble dry low. Imported. Measurements: Waist Measurement: 30 in Outseam: 38 in Inseam: 29 in Front Rise: 9 in Back Rise: 13 1 2 in Leg Opening: 10 in Product measurements were taken using size SM (US 4). Please note that measurements may vary by size. Not just your regular tee your P.J. Salvage Fav Tee. 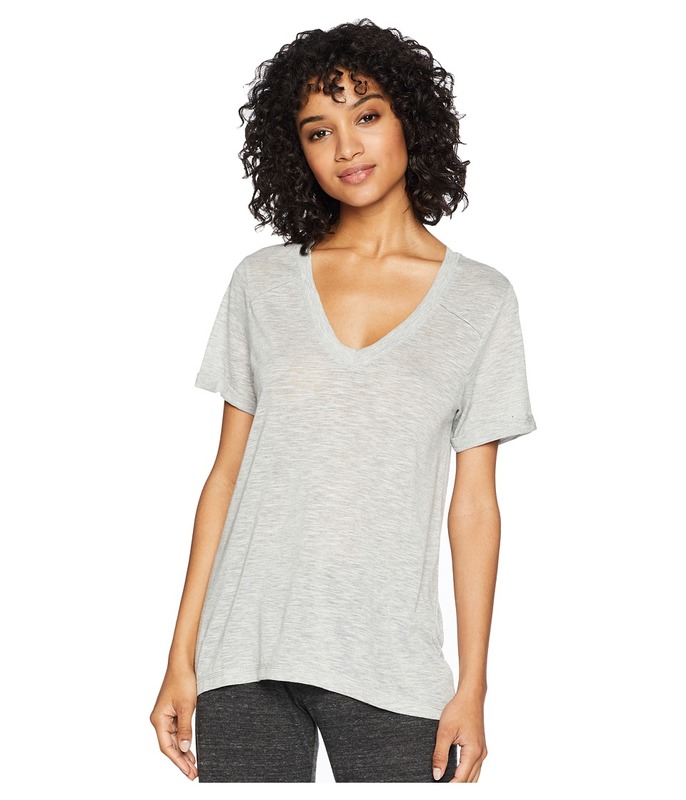 Relaxed fit top crafted from a soft tri-blend jersey. V-neckline. Short sleeves. Raw edge details create a lived-in look. High-low hemline. 50 percent polyester, 38 percent rayon, 12 percent cotton. Machine wash cold and tumble dry low. Imported. Measurements: Length: 28 in Product measurements were taken using size SM (US 4). Please note that measurements may vary by size. Enjoy a night under the stars dressed for slumber in this P.J. Salvage Tropicana Chemise. Soft stretch jersey chemise with pretty tie-dye treatment at the hem. Round neckline. Sleeveless construction. Triangular cutout at the back. Curved hemline. 95 percent rayon, 5 percent elastane. Machine wash cold and tumble dry low. Imported. Measurements: Length: 36 1 2 in Product measurements were taken using size SM (US 4). Please note that measurements may vary by size. Everything is just peachy when you wear these sweet P.J. 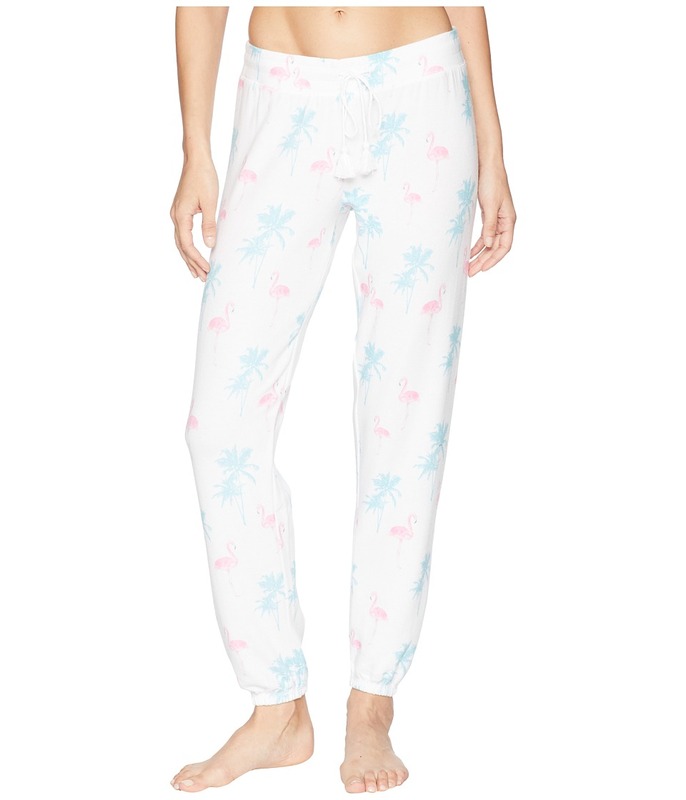 Salvage Tropicana Flamingo Joggers. Fun and colorful allover flamingo and palm tree patterned print. Lightweight knit pant is perfect for cool weather lounge and sleep. Elastic waist with drawstring adjustment. Cuffed, covered elastic leg openings. 48 percent rayon, 47 percent polyester, 5 percent elastane. Machine wash cold and tumble dry low. Imported. Measurements: Waist Measurement: 31 in Outseam: 38 1 2 in Inseam: 28 1 2 in Front Rise: 9 1 2 in Back Rise: 13 1 2 in Leg Opening: 9 in Product measurements were taken using size SM (US 4). Please note that measurements may vary by size.